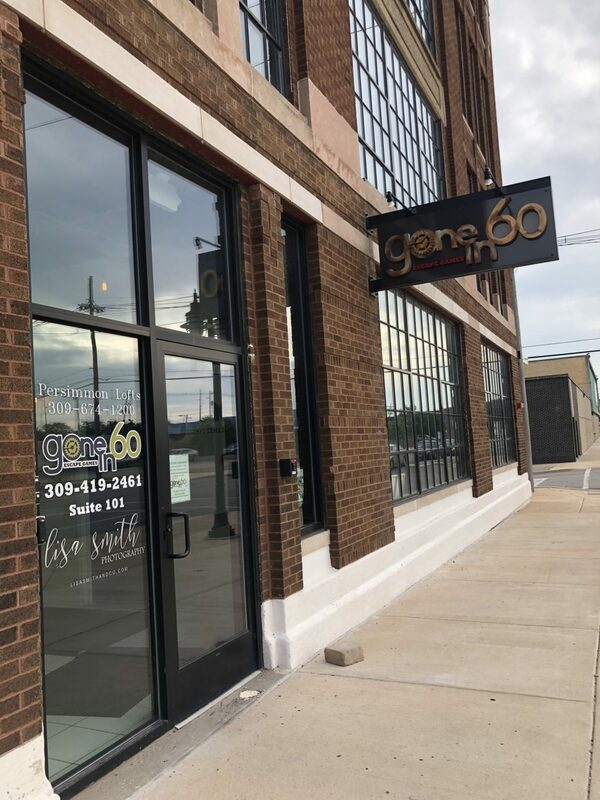 We are located in Peoria Downtown’s revitalized Warehouse District in the Persimmon Lofts building. This is a secure apartment building, so you will need to buzz the door for us to let you in. 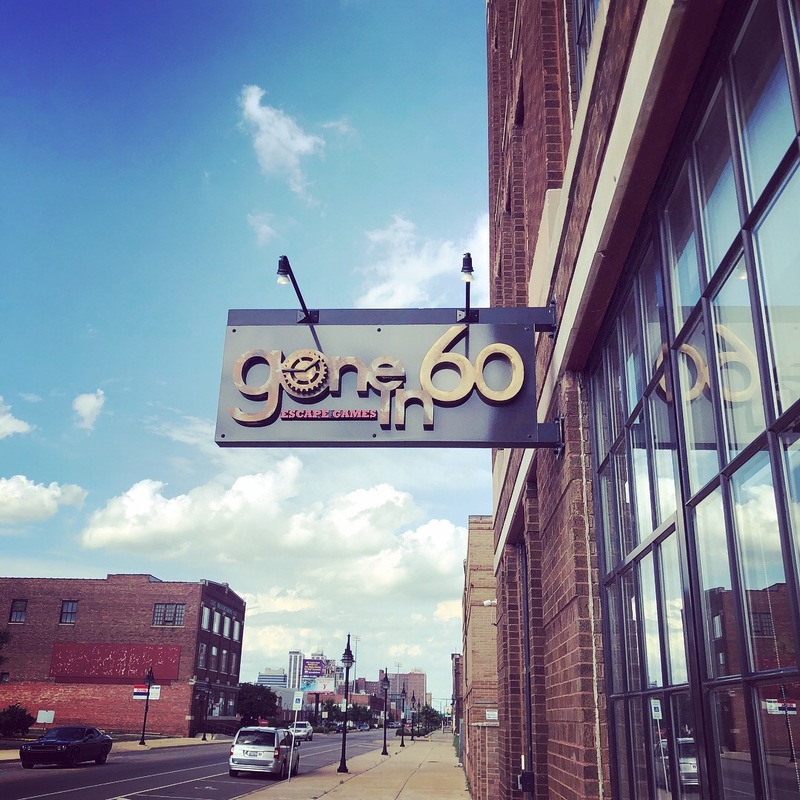 Just look for the “Gone In 60” label next to the door! Find ways to contact Gone In 60 Escape Games below. There is plenty of on-street parking by the building and a parking lot across the street from the building. All parking is free. Hours vary Tuesday – Sunday or by custom booking appointment. Please click on BOOK NOW in the menu for schedule and availability.